The Audio Video Rack is crucial for numerous reasons. 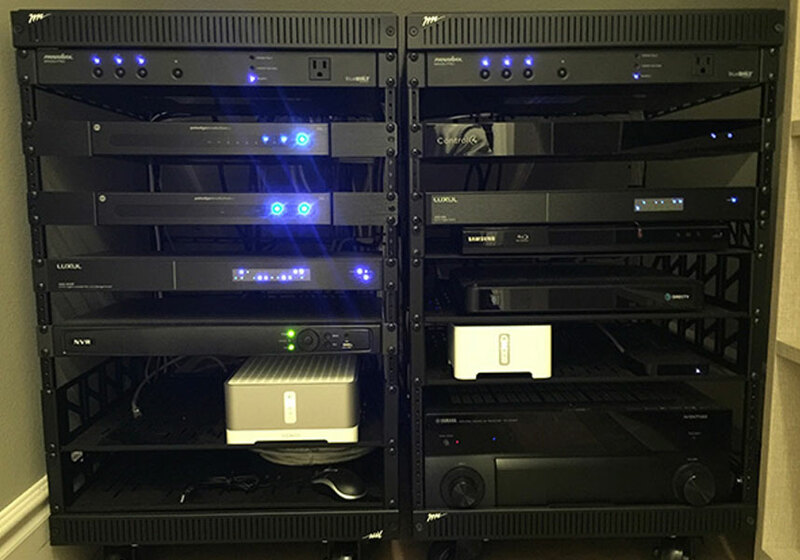 The most important reason is housing all the audio video equipment like DirecTV Boxes, Cables Boxes, Apple TV, Roku, Sonos, Receivers, Amps, Routers, Network Switches and Surge Protector. The racks also allows us to wire manage all the devices. Wire management is important because with all of this equipment comes many cables. Having the cables properly secured will prevent unnecessary issues. Another key issue that the audio video rack helps is ventilation. Having sufficient ventilation is key to longevity of all the audio video equipment in the rack.